There were fewer high profile celebrity divorces in 2015, but that doesn’t mean there aren’t lots of couples who were celebrating together a year ago who won’t be in each other’s arms watching Anderson Cooper, Kathy Griffin or Donald Trump ring in the new year tonight. Jon Hamm and Jennifer Westfeldt’s 18-year date came to an end in 2015. 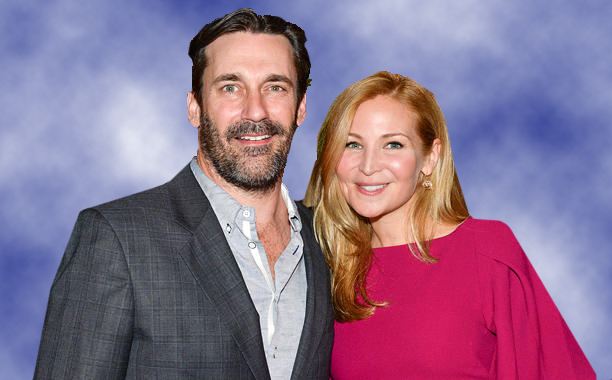 Although Mad Men star Jon Hamm and actress Jennifer Westfeldt never married, they let friends and fans know in September that their 18-year date had come to an end. Real Housewives star Yolanda Foster and musician David Foster announced their separation at the beginning of December after less than five years of marriage. Foster made it to six with previous beau, Mohamed Hadid. “Underworld” director Len Wiseman and British actress Kate Beckinsale split up after more than a decade of marriage. Ben Affleck and Jennifer Garner did too. It took just two years for Halle Berry and Olivier Martinez to call it quits, almost the same time it took tennis star Ryan Sweeting and 8 Simple Rules’ Kaley Cuoco to throw in the towel. Actress Pamela Anderson folded for the third time on poker player Rick Salomon. The couple wed in 2007, split two months later, married again in 2014, divorced the same year, and then tried another time. Bad catch or fumble for Terrell Owens? The former NFL wide receiver has a new record: 2015’s shortest celebrity marriage. Most divorces never make headlines, regardless of consequences that typically impact families for generations. There’s good news in many indications couples are increasingly thoughtful about marriage. That doesn’t mean we’re all destined to happily ever after, but getting hitched after someone is more settled in life and has a better sense of their individual and shared values, dreams and aspirations goes a long way towards knowing how to keep the flame alive. Another positive is how many more people are learning that becoming the right person has as much to do with sustaining love and intimacy than meeting the right person, although that definitely has an impact. PAIRS, originally a 120-hour semester long course for relationships that retired marriage and family therapist Lori Heyman Gordon launched at American University in the late 70’s, has a following of more than 150,000 fans on Facebook with intensive nine-hour classes delivered regularly to Veterans, active-duty military and others throughout the U.S., Europe and elsewhere. To give a boost to couples’ vows to make a happy marriage a bigger priority in 2016, PAIRS launched Marriage.am this month to provide significant free content from courses many have paid thousands of dollars to attend. Let’s raise a toast to a 2016 that’s an even better year for love, marriage and families across the world, beginning with yours!